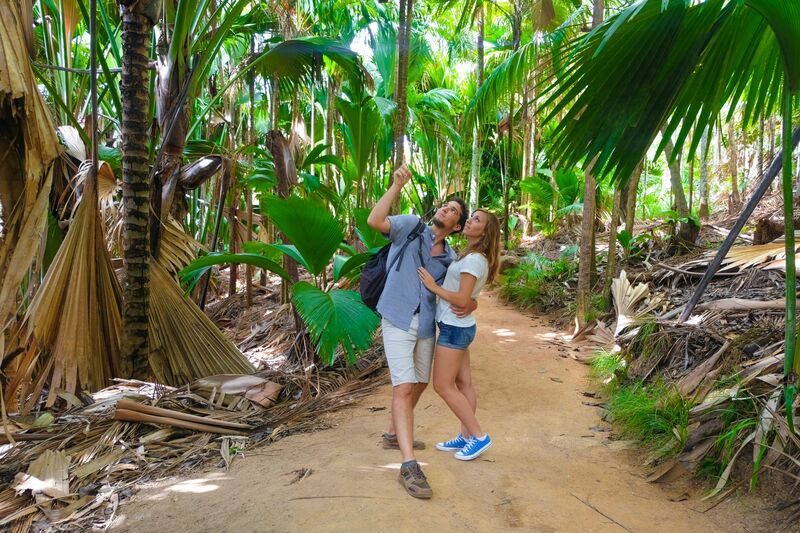 Falling in love on the road is one of the best outcomes of travel. 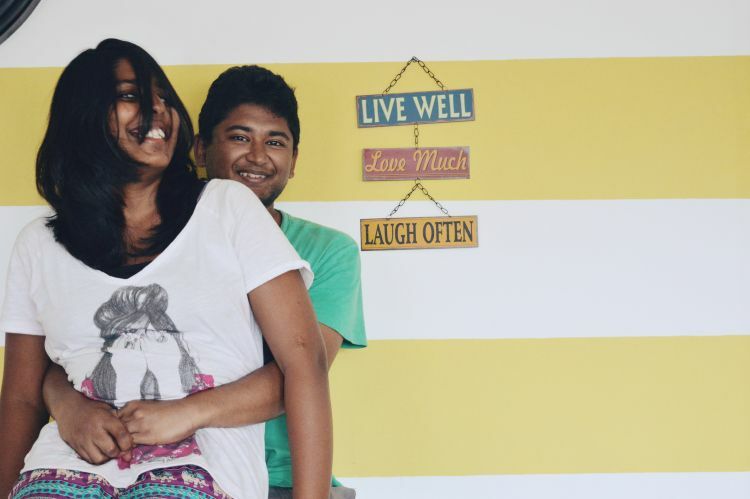 From getting to know someone quickly through a spate of Delhi belly to starting a relationship through Instagram, here is a collection of stories from travelers who found their person or strengthened their relationship in unlikely places. When you travel a lot, you imagine you’ll meet your perfect match on an adventure — in another country, on a plane, hiking some random mountain in some random place — at least that’s what I imagined. After 10+ years traveling the globe, I had never come across someone that sent me into a tailspin, and I just assumed I never would. Then, unexpectedly, I did meet someone who turned my world inside out. We didn’t meet in an exotic location or on an awe-inspiring adventure; I met him in my work building, in the panhandle of Florida, when he came into my office and asked to borrow a tablecloth. It was nothing like I imagined it might be; it was better. Now, I’m doing what I love most, with the person I love most. We’re traveling the world full-time. We’ve created our own adventure. Together. I had just come to Clock Inn Colombo, a quirky, modern backpacker hostel in the heart of Colombo, Sri Lanka to meet Meghna, my Indian friend. In the evening, I am introduced to Nathan. “Are you Indian?” I ask him. “Nah, Sri Lankan,” Nathan shows me a photo of his passport. And yet, I don’t believe him for the next two weeks. He has a South Indian accent. Later, we all walk four kilometers to an authentic Pakistani restaurant in Colombo. That was how I first met Nathan, the boy I now call my soulmate. That was July 2015, two months after Nathan came to Sri Lanka, back to his roots, his parents’ home. He was taking a break from his Master’s in Australia. He was tired of Sydney’s fast-paced life. At first, I ignored him because shamelessly speaking, I had a crush on a 23-year-old Pakistani guy (until I found out he was married with a kid). But Nathan and I bonded over our love for cricket. On my 21st birthday, he told he loved me and took me to watch a cricket match which we never really watched. I didn’t want things to move so fast as I knew he’s going to leave. He postponed his flight. He was supposed to leave in October. October became November, and November became December. He never left. As February came, he told me he was not going to go back. And that’s how we happened. It’s now two-and-a-half years into our relationship. We now explore our little island and the world together and blog about it on NatnZin. When you move to the middle of the Pacific Ocean to a remote island no one has ever heard of, you aren’t exactly prepared to meet the love of your life. But alas, that is where I found myself. One week into living in the Marshall Islands, I met Nick. He was tall, muscular, and looked like a jock, and even worse, had a southern American accent, everything I wasn’t interested in. Though he was definitely good looking, and all the tattoos didn’t hurt. It only took a few conversations with him to see past all that and see how much more we had in common; wanting the same things out of life. Two countries lived in together later, and countless others visited, it’s safe to say our travel love story is going to be a pretty lengthy one by the end of it. But it is still ongoing, with no end in sight. Lisa and I, both living in Edinburgh at the time, began chatting after Lisa commented on one of my Instagram photos of Edinburgh Castle. A plan to go on an Edinburgh photo tour together fell through and, after months of not talking, Instagram gave us another chance. One message turned into two, two turned into Skype — and over the next few months, we fell in love talking between Europe and Canada. We were speaking every single day. This wasn’t just a travel fling. With New Years approaching, we decided to meet in Europe. What better way to plan a “first date” than to plan a “short” (read: three week) Europe Trip together. 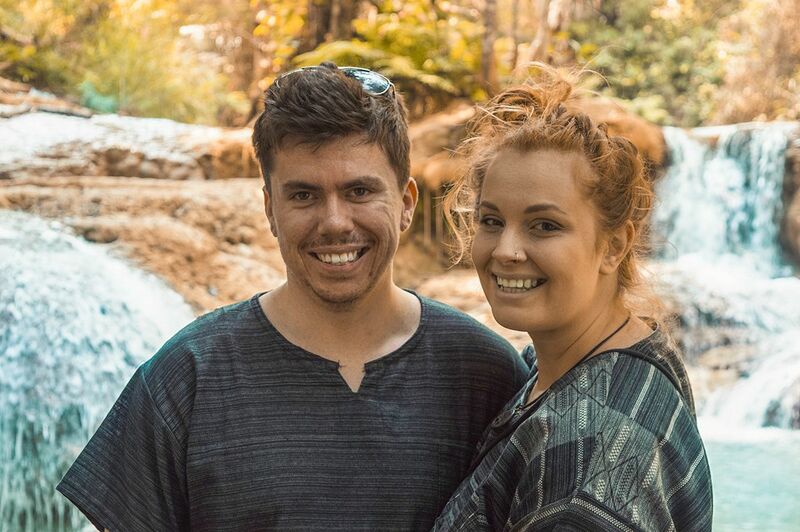 We had never met in person before, but we locked in the flights, trains, and Airbnbs for seven countries. Everything was booked. There was no turning back. My friends called us “optimistically mad.” Lisa surprised me when I landed in Berlin by coming to the airport, and with a first hug and a kiss we set off on our adventure. We rang in the New Year in Berlin and saw the Christmas Markets in Prague. We ventured to Bratislava, day-tripped to our beloved Vienna, and explored Krakow and Warsaw. Lisa had to get ready for her final semester of school, so we returned to Copenhagen and sneaked away to Edinburgh — to explore the city that brought us together. 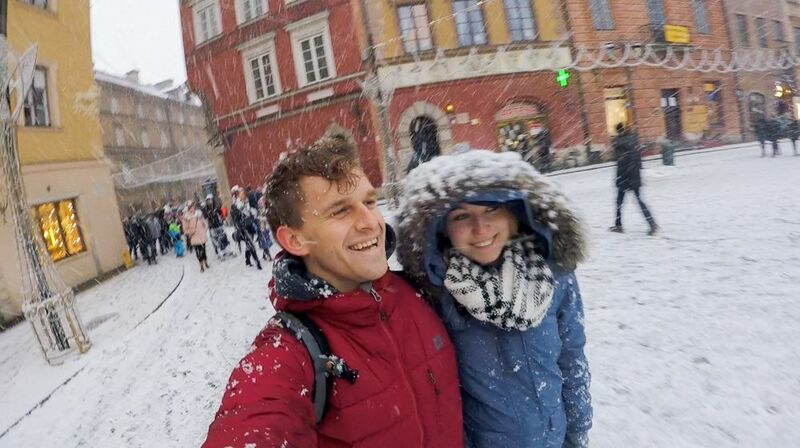 Our first adventure together was filled with long walks through snowy Old Towns, amazing Airbnb hosts, silly Go-pro footage, and chats about our future. Over a year later, we live together in Canada, and we are moving back to Europe soon. We’ll continue to blog about our adventures. 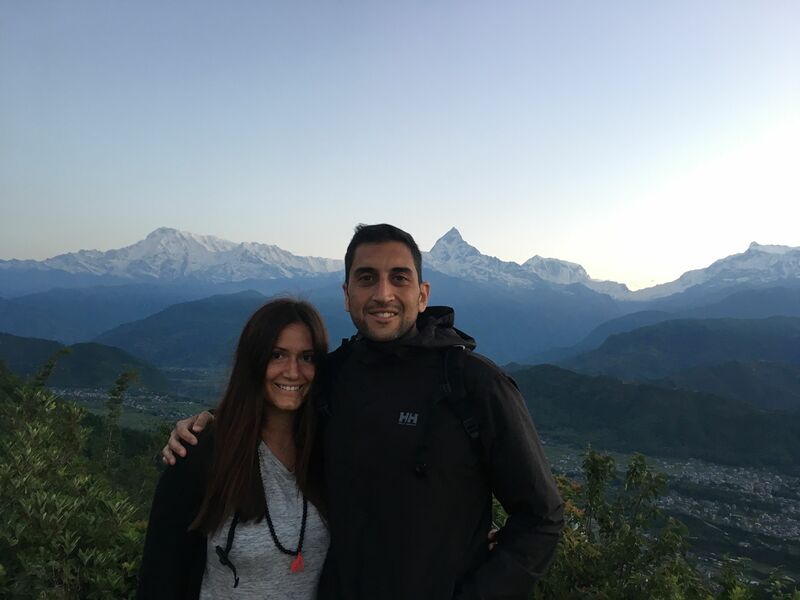 Lola and Julio in Pokhara, Nepal. Tinder destroyed my life as a solo female traveler. I joined out of boredom — dating in Madrid had been seriously dull compared to NYC. I first connected with Julio in January 2016 but was never available to meet as I was constantly traveling around Europe and Morocco. After canceling six dates with him we finally met. I was instantly hooked and knew I was in trouble — this guy was going to shake things up for me whether I wanted him to, or not. I continued to travel around Europe but saw Julio any chance I could in Madrid during the week. In May 2016, I left Madrid for Florence and tried to end things with him but the first weekend he was there taking me to Bologna to eat everything my heart desired. Our international dates continued for the next year in Italy, Morocco, India, and Nepal. I never had to sacrifice my love for travel in order to make room for my love for Julio. After chasing me around the globe, Julio finally joined me on the road for good in July. We’ve since explored Malaysia, Singapore, Brunei, Thailand, and Myanmar together with no intentions to stop traveling anytime soon. The moral of our love story? Don’t give up your passions for romance, eventually, you might just find a partner who shares the same dreams. Our real love story started in Japan. We are both outdoor enthusiasts and my partner knew how much I wanted to visit Japan. He especially knew I had a strong affinity towards Kyoto. So he decided to propose to me at the top of Fushimi Inari Shrine. We went there at sunset, everything was planned, but when we got to the top, he realized that there wasn’t much of a view and it was mainly a cemetery really. I could see he was disappointed but didn’t quite know why. A few days later, we took a day trip to Mount Hiei and as we ascended, we came across the most incredible view. It was cold, but you could smell the fresh pines all around us. There was nobody else around, but us, admiring the gorgeous vistas. It was there where my now-husband proposed to me. He said he couldn’t have found a better place even if he tried, as we both love our soft adventures and everything nature. It was romantic and perfect. Of course, I later found out about his original plans and I’m quite grateful it turned out this way. In a way, I don’t recommend anyone making plans for proposals on top of Fushimi. We are the living proof that it would work. Mount Hiei, on the other hand, makes the beginning of a perfect love story. Ten years ago, my husband and I took our first trip to Italy. It had been planned for a year. My mother became ill, she had cancer. As we got closer to the trip, I wasn’t sure I would be able to make it. I lost my mother three weeks before the trip. It was tough to go, I didn’t want to, but my sweet husband encouraged me to go, held me when I cried (and it was often during that holiday) and helped me enjoy the time together. We’ve been married 30 years. 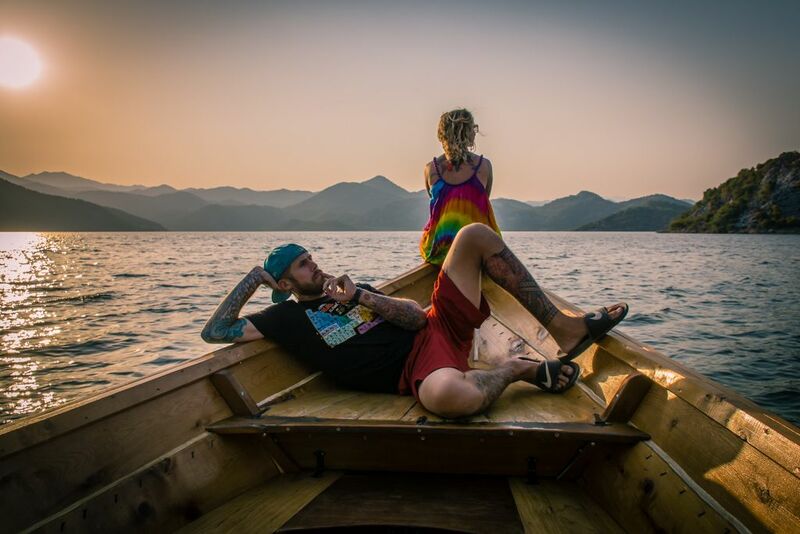 It was nearly time to head off on my amazing solo adventure around Asia, yet just weeks before I was going to leave the country, something unexpected happened: a fling with a co-worker named James. Instead of planning last minute details, we were watching sunsets out of the back of his car and running away on unexpected weekend getaways. Fast forward and I am boarding a plane to Yangon in Myanmar, my hands now hold the straps of my backpack and the only things my lips touch is my drink bottle. I explore the magnificent Shwedagon Pagoda, witness the sun rising over the incredible temples in Bagan and listen to the teak creak with each footstep on U Bien Bridge. Though, even with all these fulfilling experiences, one part of me has been left in New Zealand. Luckily for me, James felt the same and before I knew it he hands in his resignation and books a flight to meet me on Valentine’s Day at Chiang Mai. As soon as I see him I know this is what was meant to be. My solo backpacking trip quickly turned into a not-so-romantic couples adventure filled with local buses, hostels dorm rooms, and the notorious Delhi belly. We survived six months on the road with only having dated two weeks prior. It is not something I would recommend for all couples starting out, but it worked for us and now we plan to get married in the same city our forever adventure started, Chiang Mai.